The war is over, but with all the silly left-over magic running around the kingdom, things are &apos;worser-than-worse&apos;. Who&apos;s going to clean it all up? Eleven-year-old Gulchima Brixby thinks she&apos;s the girl for the job. She&apos;s just inherited the family construction company, and they need the work. Fairy poo in the factory? Swan-maidens under the bridge? Pumpkins that strangle you in your sleep... How hard could it be? 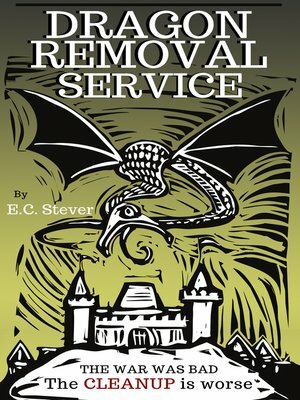 This humorous fantasy will appeal to fans of Terry Pratchett&apos;s Tiffany Aching books (Discworld Novels) and Neil Gaiman&apos;s The Graveyard Book. E.C. Stever is the author of several fantasy and science-fiction collections. This is his first novel.